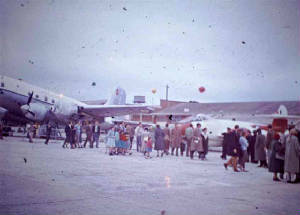 The Laverton RAAF Airshows were annual events, which started in the 1950s. 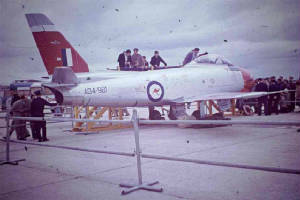 They were held at the Laverton RAAF base west of Melbourne, and were grand and exciting affairs. They continued until the mid 1970s. I went to many of these shows in the years 1958 to 1964. The 1964 show was really imressive, with the concluding event being a flypast of hundreds of fixed and rotating wing aircraft, prop and jet! 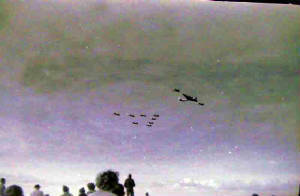 There were many static and flying displays, parachute jumping, simulated strafing raids, and mock air combats. The Base was taken out of service in the 2000s and part of it has been subdivided for residential development, known as Williams Landing. There is an adjacent railway station known as Aircraft, still used, on the Werribee suburban line. 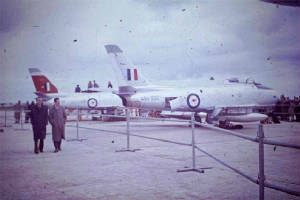 In the 1980s, the RAAF airshows were incorporated into the extravangant International Airshows, held at the newly built Avalon commercial airport, several km further to the southwest. I never went to any of the Avalon shows.